Dolly Renaux, age 91, of Rochester, died Sunday, June 17, 2018 at Samaritan Bethany on Eighth in Rochester. She was born September 18, 1926 in Bowman, South Carolina, the daughter of Preston and Belle (Kaizer) Wimberly. After graduating from Bowman High School, Dolly worked in the naval shipyards for over two years. She was united in marriage to Julian ‘Bud’ Renaux January 12, 1946 in Rochester. Dolly worked many years for the Rochester School District as a cook at John Marshall High School. In 1980 Dolly and Bud moved to their cabin on the Mississippi River in rural Wabasha after living in Rochester for 40 years. In 2006 they returned to live their final years in Rochester. Bud died December 15, 2011. Soon thereafter Dolly moved to Samaritan Bethany on Eighth. Dolly and Bud were charter members of Bethany Methodist Church in Rochester where she volunteered endless hours over the years. While living in Wabasha the couple were members of the Wabasha United Church of Christ. 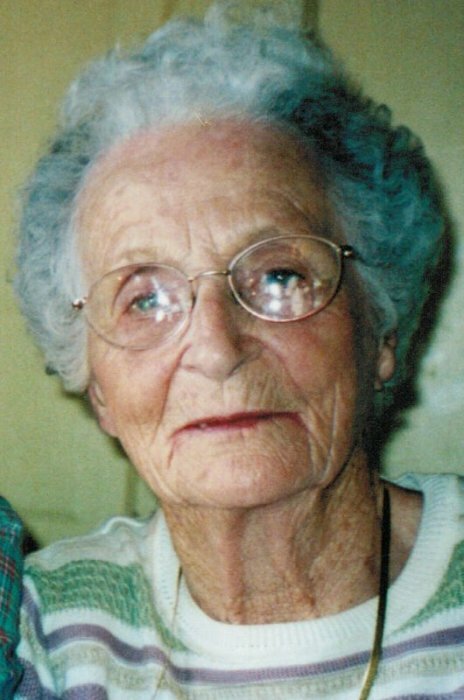 She enjoyed playing cards and bingo and she was very talented in crafts, cross-stitching, sewing and quilting. She and Bud truly loved their years on the river and they enjoyed entertaining friends and family with delicious dinners prepared from the garden. She is survived by her children, Julian 'Joe' Renaux, Farmington, MN, Susan (Neil) Camrud, Brookfield, WI, Michelle (Joe) Beckel, Hayward, WI; six grandchildren, Courtney (Aric) Kinney, Kelly (Ed) Ewertowski, Jocelyn (Tony) Grant, Jennifer (Chris) Walker, Tina Halfman, and Bryce (Angela) Beckel; twelve great-grandchildren; and numerous nieces and nephews. She was preceded in death by her husband, Bud, her parents, Preston and Belle, sister, Thelma, and five brothers, Troy, Wilson, Al, Herman and J.P. The family would like to thank the staff and volunteers at Samaritan Bethany and Arbor Terrace for all of their heartfelt compassion and care extended to Dolly these past six years. A memorial service will be held on Monday, June 25, 2018 at 10:30am at the chapel at Samaritan Bethany on Eighth. Interment will be at Oakwood Cemetery in Rochester. Family and friends may call at the chapel on Monday one-half hour before the service. Memorials are preferred to Samaritan Bethany on Eighth or to Seasons Hospice, both of Rochester.